"Shannon Olsen and her team are awesome to work with! We are thankful we found Shannon, who helped us sell our home in less than a week due to her great marketing and professional skills. They were always there for us in every way ,answering questions and finding the perfect new home for us. You will be very happy if you choose Shannon for your realtor!" "Shannon has stepped up to help us once again. You would be hard pressed to find an agent who could top her skills & expertise. She sold our home and helped us on closing the deal on our forever home. Nice going Shannon!" "All I can say, amazing Torie is so nice and understanding, and honest she is always their for you and makes it feel like you are not alone. She always is will to work with you and around you. Torie is the best,"
"I've sold several homes. And it's still an intimidating process. Shannon and her knowledgeable team help you every step of the way. I've also bought a home through them and I received the same service.I would use them again and I would recommend them." "Shannon Olsen and her team are rock stars! There's no one better to have on your side when selling or making what is most likely the biggest purchase of your life in buying or building a new home. Shannon quickly sold my home in January 2018 and then worked with me all year while I looked at many options for a new home. When I was ready to purchase again Shannon was able to help me obtain the home I wanted even though it had multiple bidders. Her knowledge and skill ultimately landed me the home i was after and i can't thank her and her team enough for their expert service throughout the year." "Shannon and her team treated us like family through the entire home transition. From the comforting start of Shannon going over expectations to the stressful but efficient closing (and beyond), Shannon's team treated us like royalty. We were briefed and comforted every step of the way, which was highly appreciated at this stressful time. Shannon was very thorough in walking the house with us to recommend where to declutter and clean. She even sent a summary email highlighting what we went over (since I forgot everything about five minutes later). When it came to listing the house, the professional photographer did an amazing job making the place look spectacular. Thanks to Shannon and her team, we had three offers in a week. Kacey did a great job helping us find the perfect house for our needs and getting us the price that we needed. She also fought for us to get the house up to speed when it came to the inspection fixes. The entire team followed through and answered all my random all-times-of-day inquiries throughout the process. The document signing was extremely efficient and Alyssa was on top of sending things over and pinging me via text when they were ready. I would highly recommend Shannon and her team. If you want the VIP experience and the lowest amount of stress possible, I couldn't think of a better choice." "Kacey was so helpful to have on my side. She was very quick to respond to all of my questions and concerns. She very knowledgeable and you can trust that she has your best interest at heart. I would definitely recommend her to anyone needing a real estate agent." "Shannon is the best realtor I've ever had the pleasure of working with. She is on top of every detail, and efficient to the Nth degree. Do not hesitate to enlist Shannon with your real estate needs, you will not be sorry"
"Shannon made the process of buying a new home and selling our current home so seamless and easy. She was on top of every detail throughout the process to ensure that nothing was overlooked. She truly goes above and beyond for her clients!" "Kacey was great. She was very knowledgeable on the process, the area, and how to get the best deal. She negotiated very well with the other agent, convincing me to continue to work for a better deal when I was willing to stop. I strongly recommend her!" "Torie is absolutely amazing! She helped us find a house that was perfect for us. If we said we didn't like a house or she saw something that wouldn't work for us in the long run she didn't try to push us to put an offer in. She was honest and extremely helpful with any questions we had and walked us through each process step by step until we understood exactly what we were doing. I couldn't have asked for a better person to help us with our home buying experience!" "Torie was instrumental in helping us to find our Dream Home. She was always trying to get us in as early as possible anytime a listing came up that was interesting to us. She also was there to help us through the rough patches when we actually lost out on a few properties before we found The One. Torie's professionalism and ability to connect with us and the sellers of the property we purchased made the entire process seamless. She has an amazing personality that makes you forget you're actually doing work! The only sad thing is that we only house hunted for approximately a week or so before we found the one that we wanted and we didn't get to hunt with Torie longer--we wound up missing her! I can't say enough good things about her or recommend her highly enough-- she is truly one of the best agents around in the local area!" Shannon was fantastic to work with! Her professional and personal approach helped us get under contract to sell our home in under a week after only 1 open house. She very knowledgeable and helped us through every aspect ofthe process. We're highly recommend her! From the moment we decided on our home Shannon worked her tail off for us and our perfect space. Shannon is a rock star, through and through. She even took care of us while out of town. Thank you a million times we are so happy. "Shannon made what to me was a nerve wracking stressful situation, seem easy. I never thought we would pull off the vision I had and she made it happen for our family. I am so glad we trusted her to help with our real estate needs." "Shannon and Torie are top notch! Shannon sold our home for more that we would have thought possible and Torie worked her tail off and got us our dream home! Their whole team are friendly, great communicators, and excellent at what they do. Highly recommended." "I would like to thank Torie and Team for an excellent first time home buying experience! Torie went above and beyond with her customer support and ensured the best deal possible. As an out of state home buyer, I felt that all qestions and concerns were always answered quickly and accurately. She's very easy to work with and will put in extra effort (regardless of time/day of week) to make sure you're getting the best deal possible. I felt completely informed and comfortable when making decisions, which ultimately led up to finding the house I wanted in the perfect location. I can't thank her and the team enough." "I write this from our beautiful new home! Shannon and her team were there for every little question and concern we had and as a first time homebuyer, that really helped us feel at ease with the whole process. We tried other agents before but they didn't even come close to the professionalism and knowledge that this team possesses. Thank you! Thank you! Thank you!" "Shannon is one of the best I have worked with. Her energy, driven, fun and motivation make me find good budget needed for my home. She made it comfortable and put in time to find a good home. I will work with her and her team again. One of best agent and her teams." "Working with Shannon was awesome! She kept us in the loop every step of the way and made the process very stress free. She was very proactive in every step and made sure our questions were answered very quickly. She helped us get full price only one day in the market and closed 2 weeks after. Hands down the best realtor there is! Thank you Shannon for all of your hard work"
"Shannon was professional, happy, friendly, honest, and all around the best realtor we could've asked for. She's very skilled at what she does and will work her guts out to bring you results. Our home buying experience was so smooth and easy with her I'd refer her to my grandma." "Shannon is absolutely amazing and the information she offers is great. There is no smoking mirrors here, what you see and hear is what you get. Like I said absolutely amazing and I am very greatful for Shannons help in selling my house." "We had such a great experience with this team! Josh and Shannon did always made us feel like they had our best interest in mind when showing us homes! They always made sure we felt comfortable in the homes and helped us to know all of the good and bad that came with each one! They were personable and very patient with us! We highly recommend them to everyone! Thanks for helping us find a great home!" Rated Shannon and My Utah Agents 5 out of 5 stars! "Every now and then you cross paths with someone who goes so far above and beyond that they set a precedent that's almost impossible for others to follow. Meet Shannon Olsen @shannonmarie021 of Keller Williams Legacy. Quite possibly the best real estate agent in Utah. If you're in the market, give her(and her awesome team) a call!" 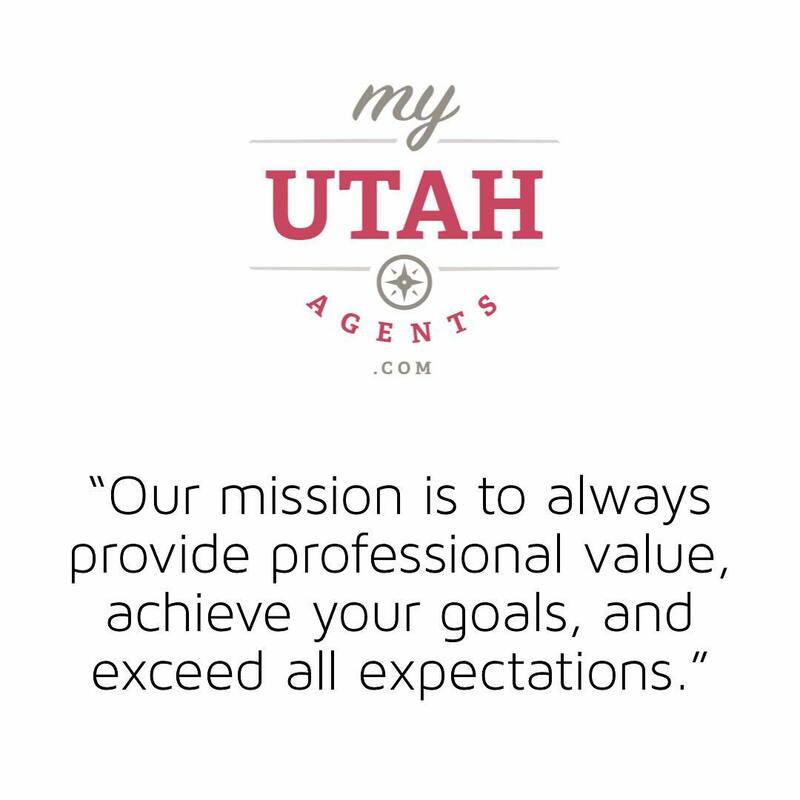 "Shannon and her entire team with my Utah agents are amazing. Not only are they knowledgeable and professional they are also so fun to work with. You will leave with a great experience and a friend. Thank you so much for helping me with selling/ buying experience. Love you all. Thanks for everything. I would recommend your services to anyone"
"Had a great experience buying our house! It was fast and easy! Shannon was right on top of everything. Great at explaining what everything was. Such a awesome team. Bryce was great to work with. Josh was great too! Thanks guys. Love my new house." "Shannon was amazing! She actually listened to what we were looking for, took us serious-really believed we meant what we said. Respected our decisions and wasn't pushy. Then she celebrated with us when we found our perfect home!! She truly made the process EASY!!" "Shannon was on top of everything from the very beginning of our Real Estate relationship. She was knowledgeable, honest, professional, creative, humorous, patient and pro-active. When we decided to take our home off the market for personal reasons, she was understanding and supportive without pressuring us or making us feel guilty. She was respectful of our decision and that was very important to us and a motivating factor to continue to work with her. Months later when we discussed putting it back on the market she was very proactive to give us current information, encouragement and comparables to help us make an informed decision on whether to list again. Our home went under contract quickly and she went above and beyond to make the sale move in a favorable direction for us. We feel like we have made a lifelong friend and would recommend Shannon for any Real Estate dealings!" "Shannon and her team did a fantastic job! They saved us from almost loosing our new home. When everyone else told them it couldn't be done they did it any way and saved the day. We will definitely be using them as our super team from now on." "Shannon is the best realtor I've ever had! She is very helpful and has your best interest at heart. When I received an offer on my place, she spent the time (like 50 min on the phone) going over all the details of the contract, in ways that I would understand. She helped make my signing date a date that was convenient with my busy schedule. She always had the time to talk to me with any questions or concerns I had. And she had great tips to help get my place sold! She is fabulous and I appreciate her so much. I highly recommend her!"